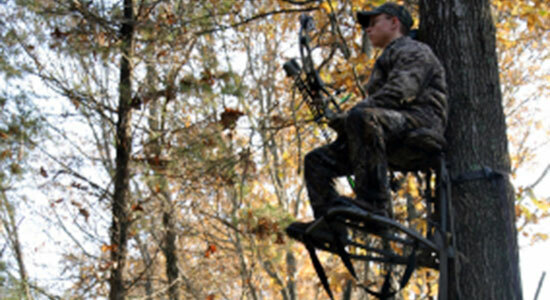 Does Hunting Season Cause More Car Accidents? Does Hunting Season Increase Deer-Related Car Accidents? 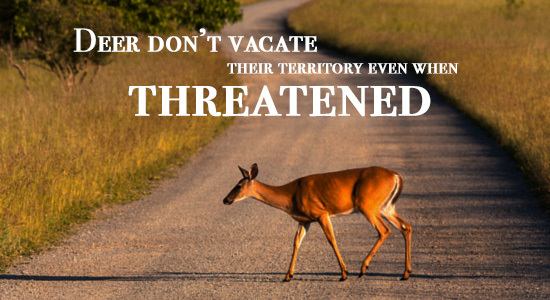 Perhaps you've heard it before: "Deer are running away from hunters. That's why they're always in the road!" As Pennsylvanians, we know that deer are seemingly everywhere from late-September through the winter months. It can't just be coincidence that their presence on our roads increases as hunting season begins. Can it? Well, according to many biologists, deer movement through the fall and winter months might not have anything to do with hunters, but everything to do with their mating patterns. Bucks are often willing to travel well beyond their established territory to find a mate, and this is typical for deer in every region. While searching for that special doe (or does to be more exact), bucks will risk crossing roads, interstates, and other areas they might not normally venture. The argument that hunters are scaring deer into the roads and across populated territories seems like a logical assumption. Why wouldn't the deer be fleeing flying bullets and arrows? However, upon further investigation, it's found that most deer don't vacate their territory regardless of whether they're threatened by a predator or hunter. It seems that deer are more willing to travel during mating periods, which – in Pennsylvania – just so happens to coincide with hunting season. Does Hunting Work as Population Control? People hunt for many different reasons. Some do it for recreation, some do it for venison, and some do it for the "trophies." No matter the reason, many make the argument that hunting is also used to curb wild deer population from getting out of control. It's true that if a deer is killed, the population is reduced. However, true population control requires an even split between male and female deer. Many "trophy hunters" are looking for that big multi-point buck to take back home and mount on their wall. In turn, this can lead to less doe hunting. Less doe hunting means that more fawns are born each year. 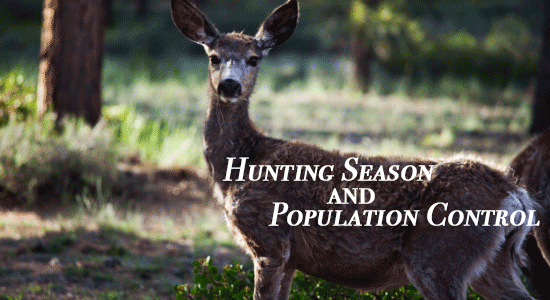 Many believe that hunting, as a form of population control, will help to decrease car accidents caused by deer. However, it requires a special balance that may not be in place just yet. Deer, no matter the reason, are a regular road worry for Pennsylvania drivers. Nearly one in every 77 drivers in PA has been involved in a deer-related crash. More shocking than that, an estimated 115,000 deer-related collisions have been reported, placing Pennsylvania atop the list of states with the most deer-related accidents. Slow down and constantly be on the lookout for deer, especially near wooded areas. Be especially attentive at dawn and dusk. If you see one deer, assume there are others. Brake – don't swerve – to avoid a collision. Swerving can create an even more dangerous scenario.